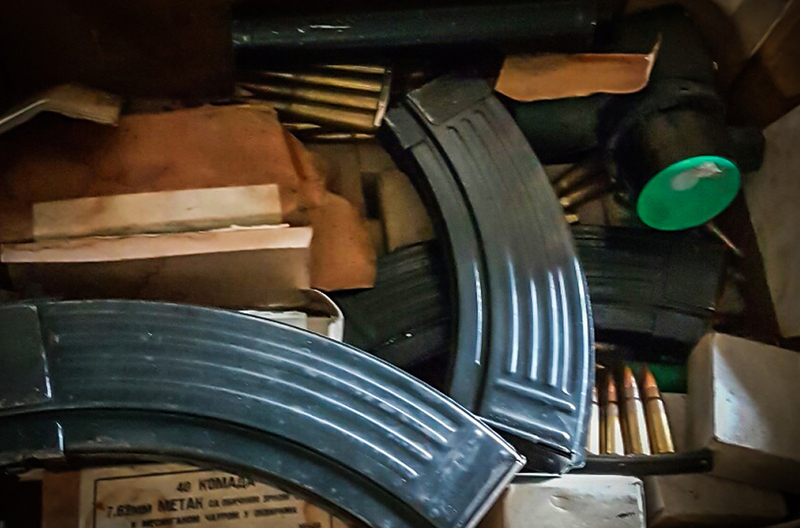 Operations conducted by the Firearms Programme have targeted firearms trafficking hotspots and have unraveled the link between organised crime and terrorism. 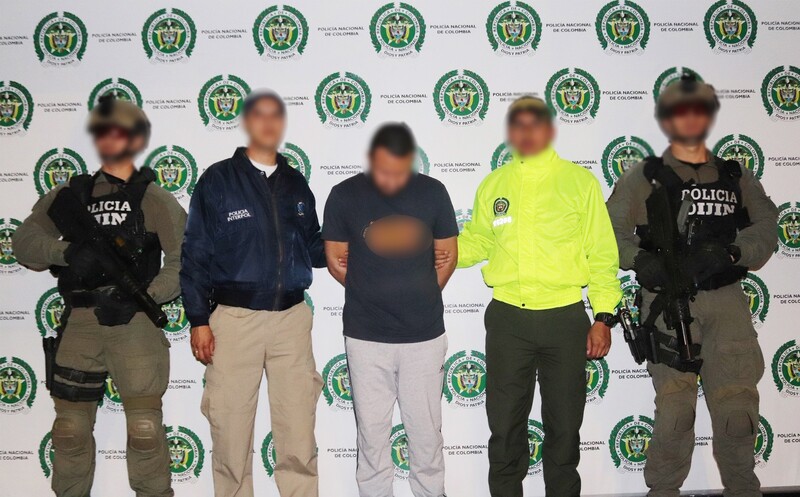 Operation Trigger V took place across eight countries in Latin America – Belize, Colombia, Costa Rica, El Salvador, Guatemala, Honduras, Mexico and Panama. 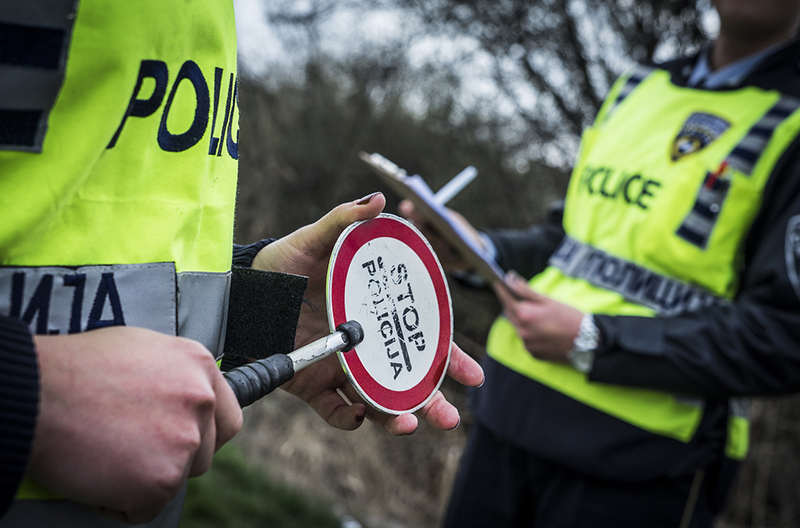 42,000 checks were carried out at known trafficking hotspots including land, air and sea border points. Some 850 firearms were recovered and 560 individuals were arrested. 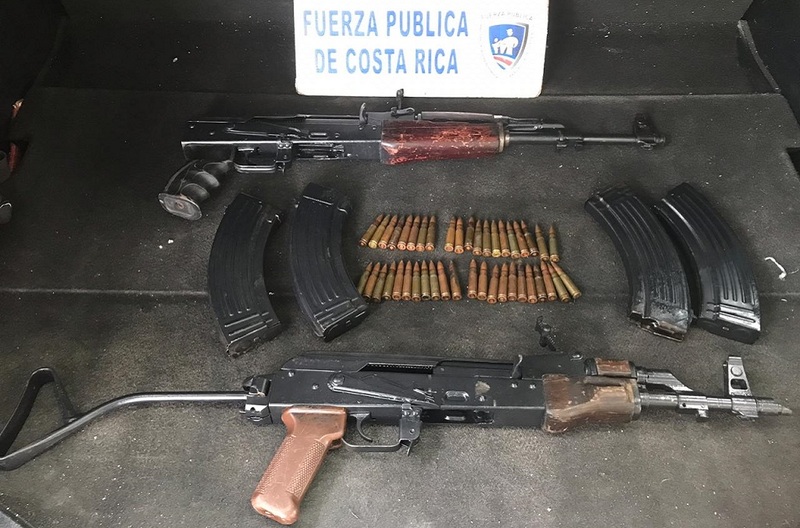 A vehicle check in Costa Rica uncovered two AK47 assault rifles, one of which had been recorded in INTERPOL’s iARMS database by a country in the Middle East. A pistol seized by Costa Rican authorities during Operation Trigger V.
Costa Rica deployed more than 2,000 officers to 200 hotspots. 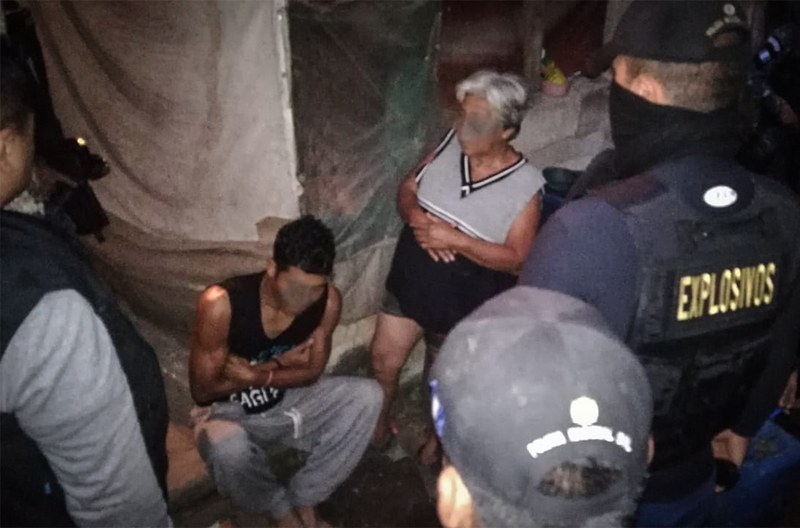 47 individuals in El Salvador, 18 of whom were linked to organized crime gangs such as the Barrio18 and MS13. 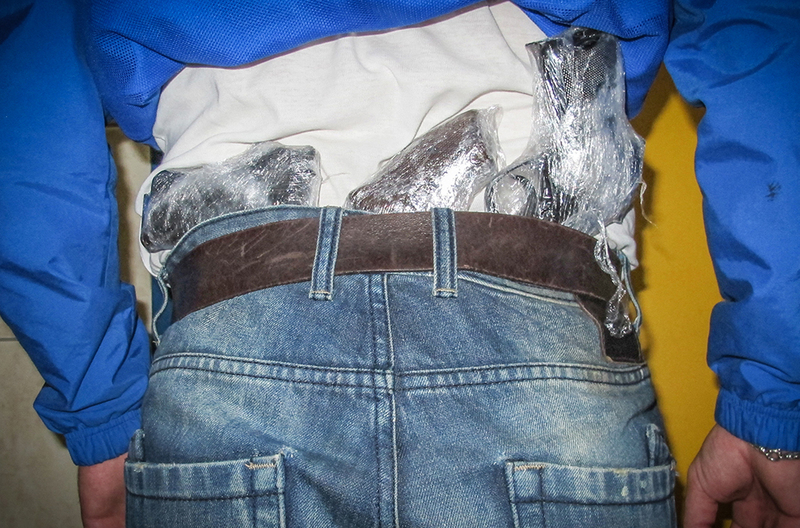 Honduran officials show some of the guns seized during Operation Trigger V.
Mexican authorities on the US-Mexico border found bullets hidden in the back of car seats. 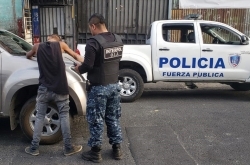 In Panama, an anonymous tip led police to a cache of ammunition, firearms and gallons of chemical and explosive materials. 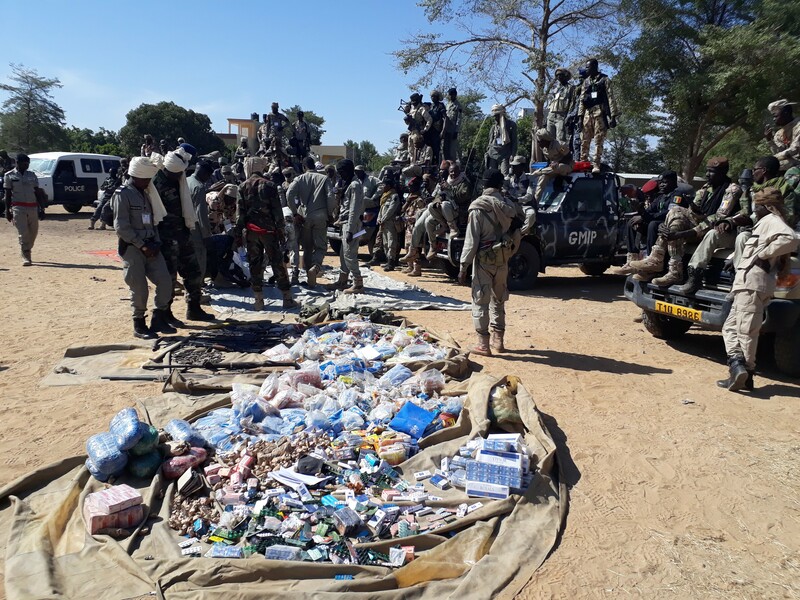 Operation Trigger V led to the seizure of 857 firearms, more than 38,000 bullets, 20 grenades and various police and military uniforms. 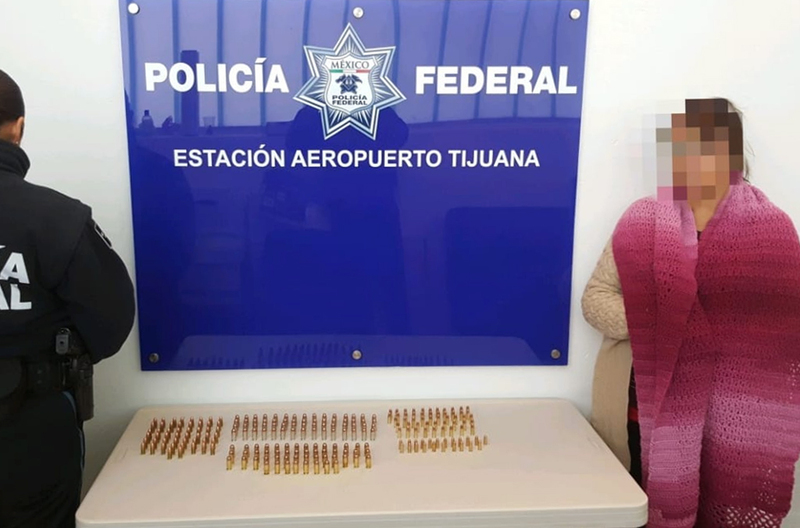 A woman was caught trying to smuggle bullets at the airport in Tijuana. 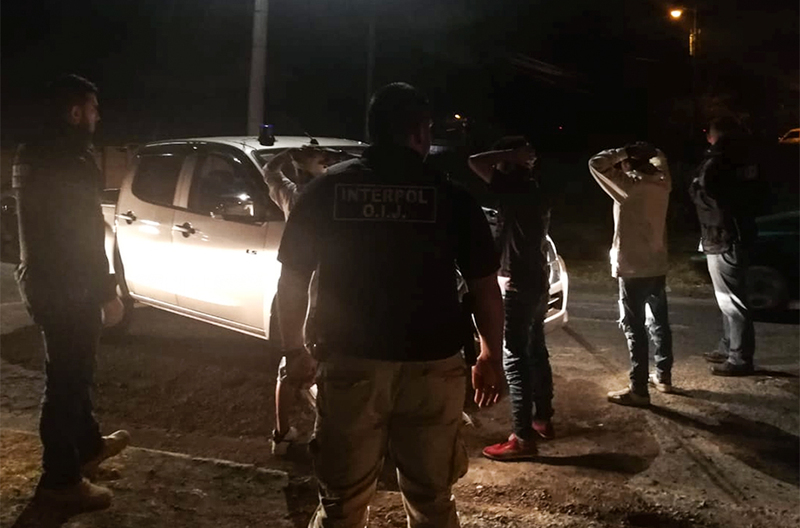 Mexico published an INTERPOL Purple Notice warning of a smuggling method involving dismantled firearms shipped via express courrier services. 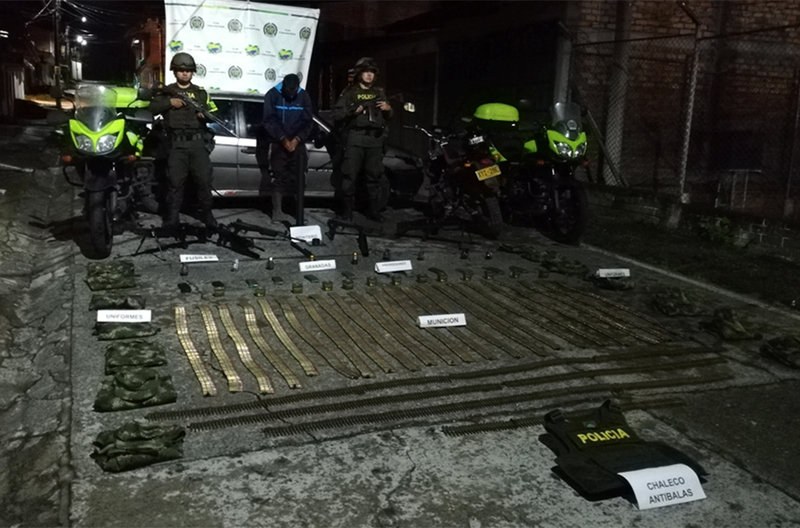 Colombian authorities with 'Zeus o Mono', supplying weapons to the National Liberation Army (ELN). Operation Trigger IV took place across four countries in the Middle East and North Africa region – Iraq, Jordan, Lebanon and Morocco. 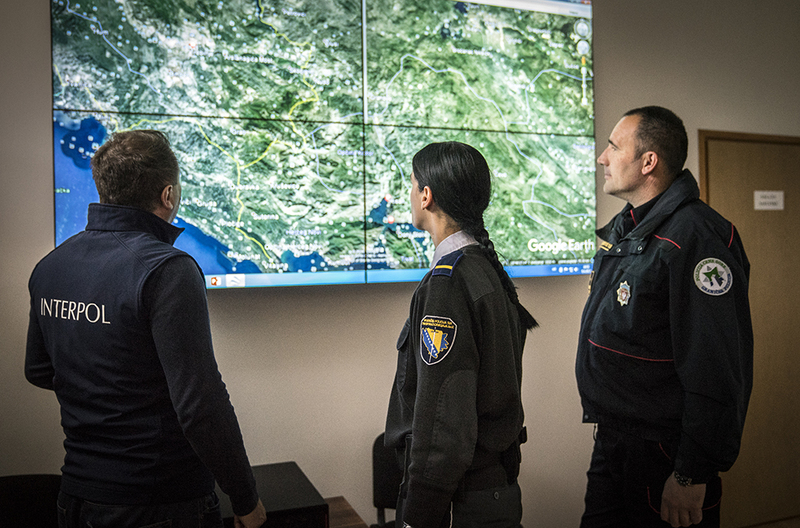 Checks were carried out at known trafficking hotspots including land, air and sea border points. Some 57 firearms were recovered and 17 individuals arrested for firearms offences. Authorities also seized cash in several currencies totaling EUR 1.3 million along with heroin and synthetic drugs with a street value of EUR 200,000. Operation Trigger IV took place across Iraq, Jordan, Lebanon and Morocco. 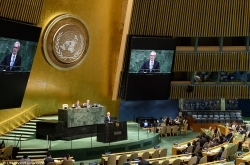 This was a joint operation between INTERPOL, the United Nations Office on Drugs and Crime, the World Customs Organization and eight African countries (Benin, Burkina Faso, Chad, Guinea, Mali, Mauritania, Niger and Nigeria). 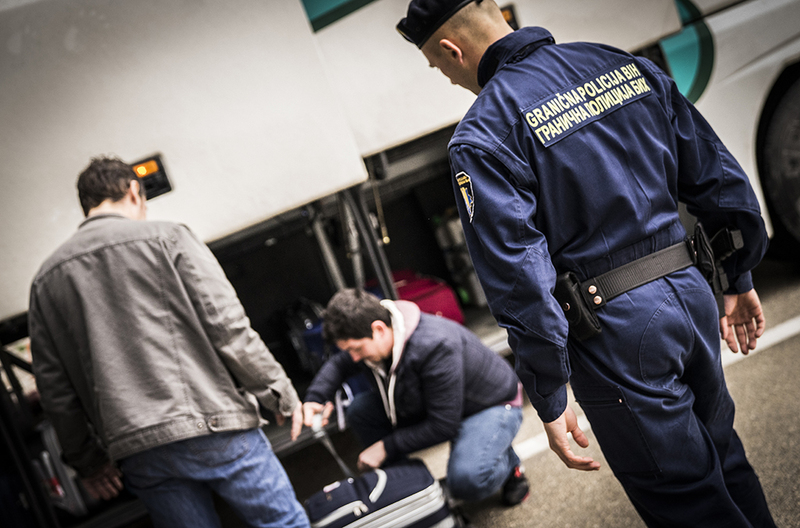 Checks were carried out at known trafficking hotspots including land, air and sea border points. Official seized 152 firearms and arrested 50 individuals for firearms-related offences. Significant quantities of drugs and counterfeited pharmaceutical products were also recovered during the operation. 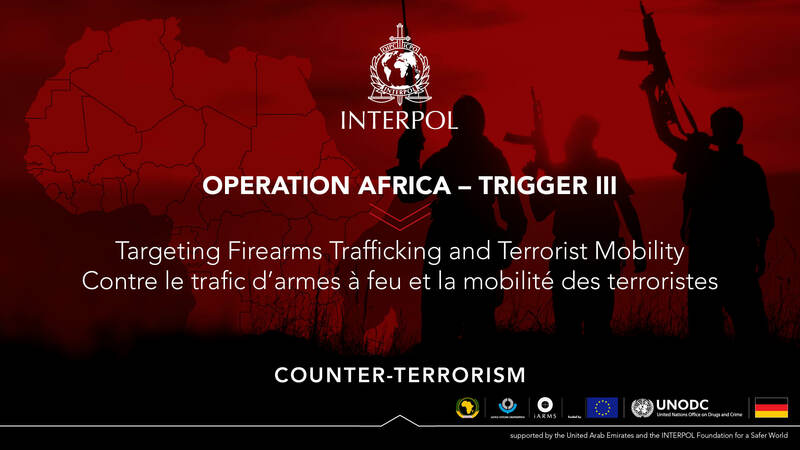 Subsequent investigations were conducted to establish the provenance of the firearms seized and to identify the people and networks involved in the firearms trafficking chain. 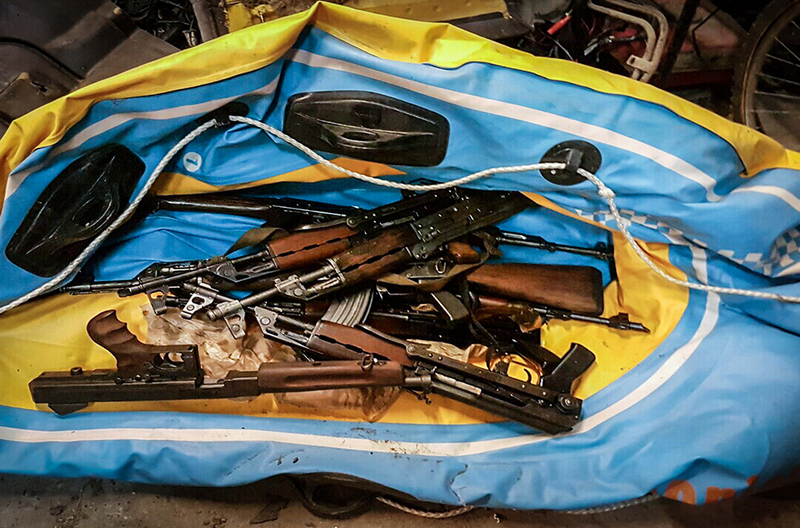 Some 7,840 officers from 23 countries across Europe seized some 320 illicit firearms – including a rocket launcher and a machine gun – and almost 20,000 pieces of ammunition, along with grenades and explosives. Police at a checkpoint in Skopje, Former Yugoslav Republic of Macedonia. 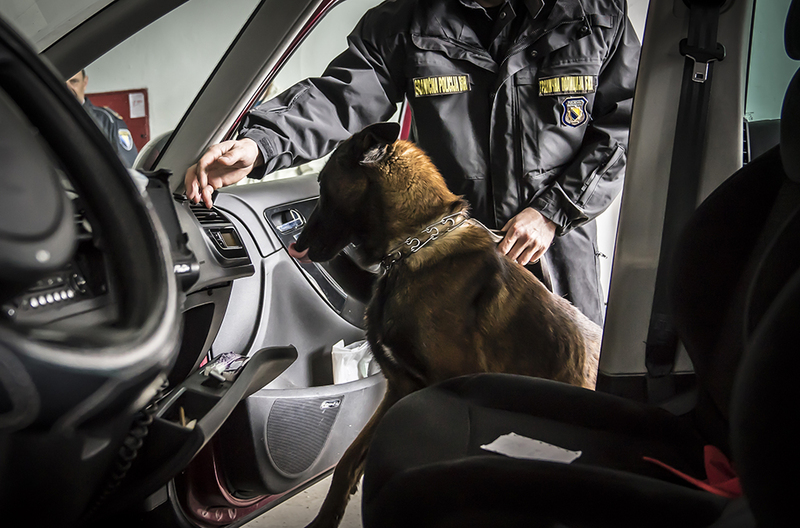 Operation Trigger II involved more than 7,840 law enforcement officers from 23 countries. 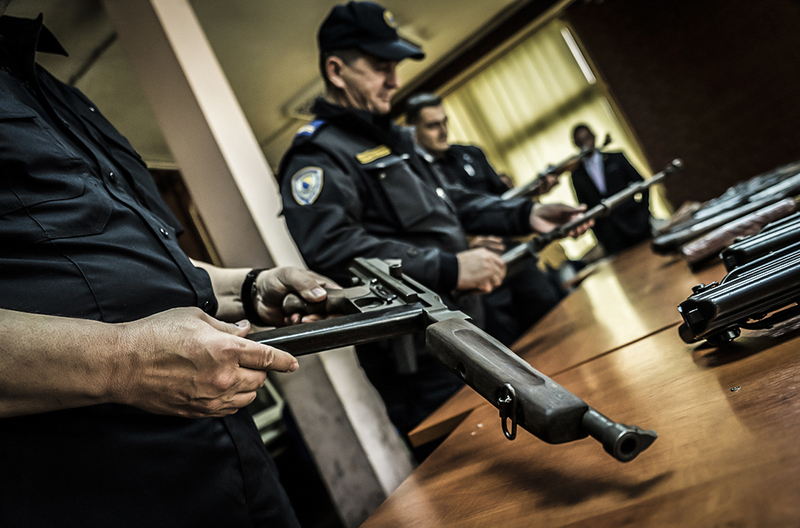 Firearms seized in Brcko, Bosnia and Herzegovina. 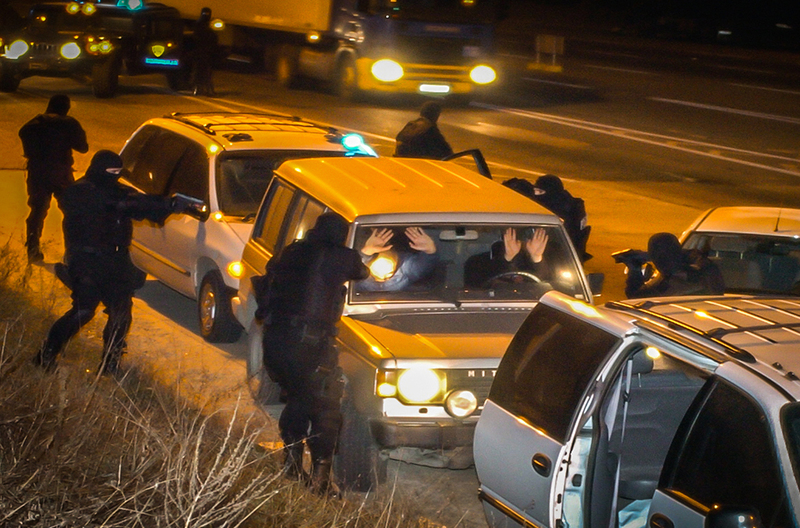 Police in Skopje, Former Yugoslav Republic of Yugoslavia, intercepting a car and its occupants. Police inspect a vehicle at a checkpoint in Zvornik, on the border with Serbia. 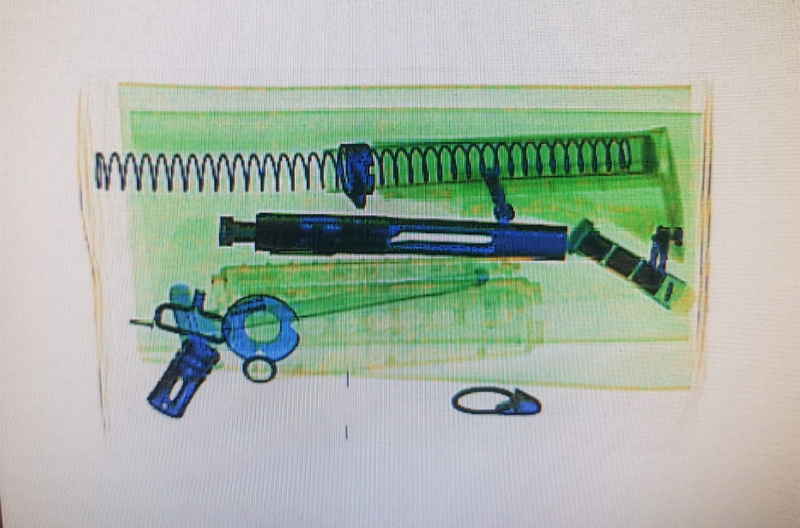 Illicit firearms and ammunition were seized during Operation Trigger II. 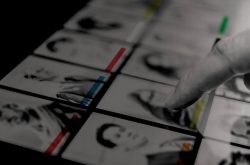 Through INTERPOL’s Illicit Arms Records & tracing Management System (iARMS), the international law enforcement community can facilitate information exchange and investigative cooperation on the international movement and use of illicit firearms. 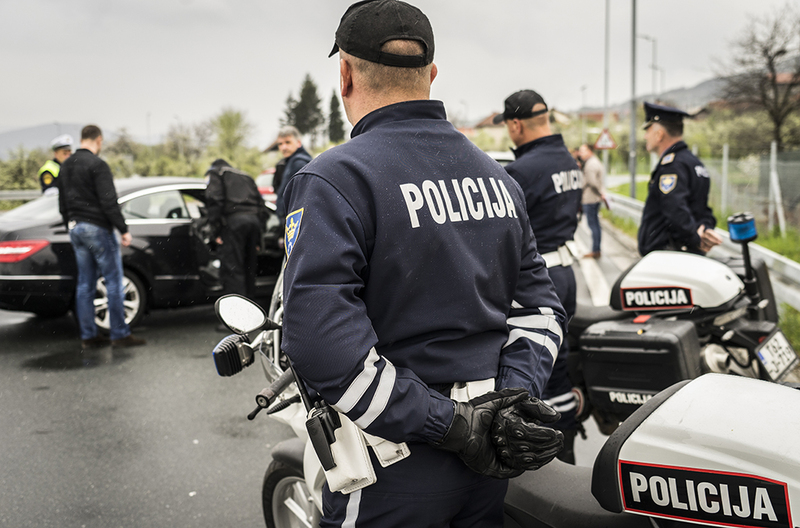 Police at a checkpoint in Bijeljina, Republic of Srpska, Bosnia and Herzegovina. 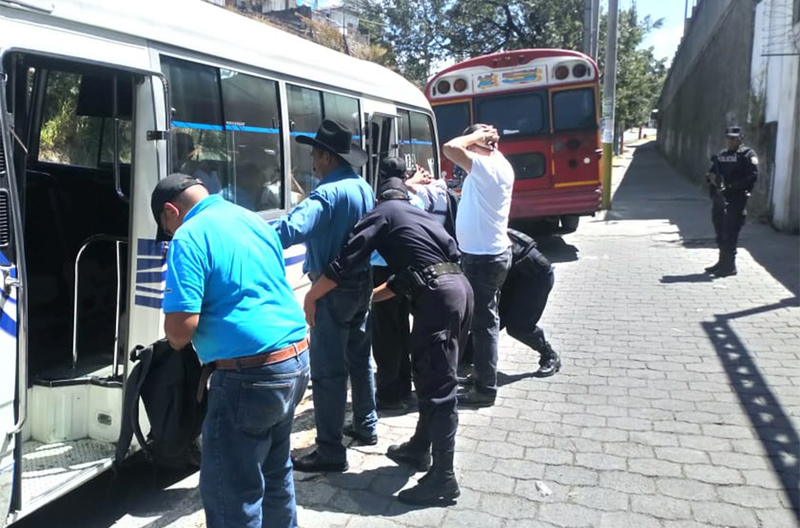 Operation Trigger II saw more than 158,000 people stopped at border crossing points, transit routes and known hotspots during a 48-hour period. 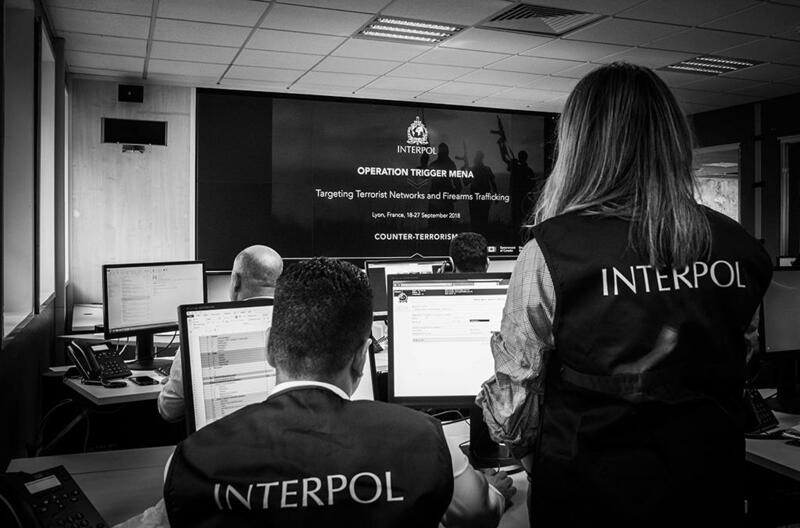 Led by INTERPOL, Operation Trigger II involved more than 7,840 officers working across 23 countries in Europe during a 48-hour period to intercept illicit firearms and identify links to crimes, including terrorism. 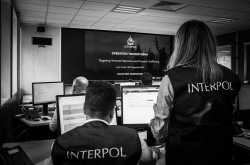 Police in the 23 participating countries checked information against INTERPOL's range of global databases during Operation Trigger II. 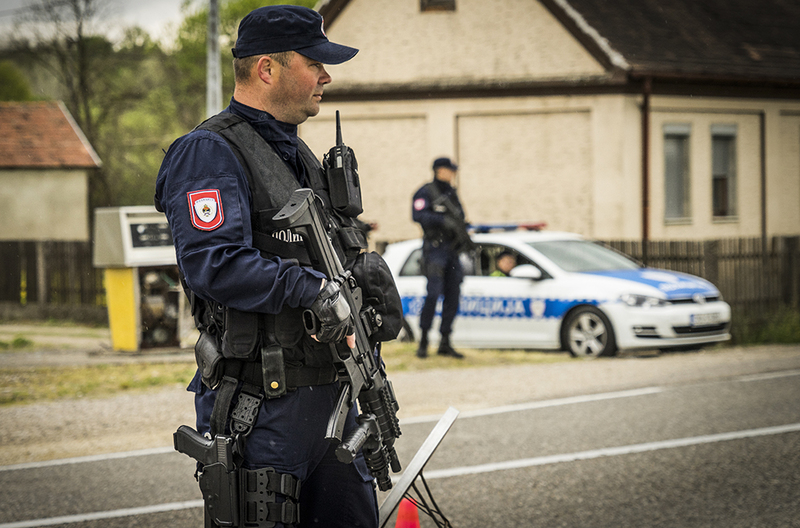 Border Police in Trebinje, Bosnia and Herzegovina, during Operation Trigger II. 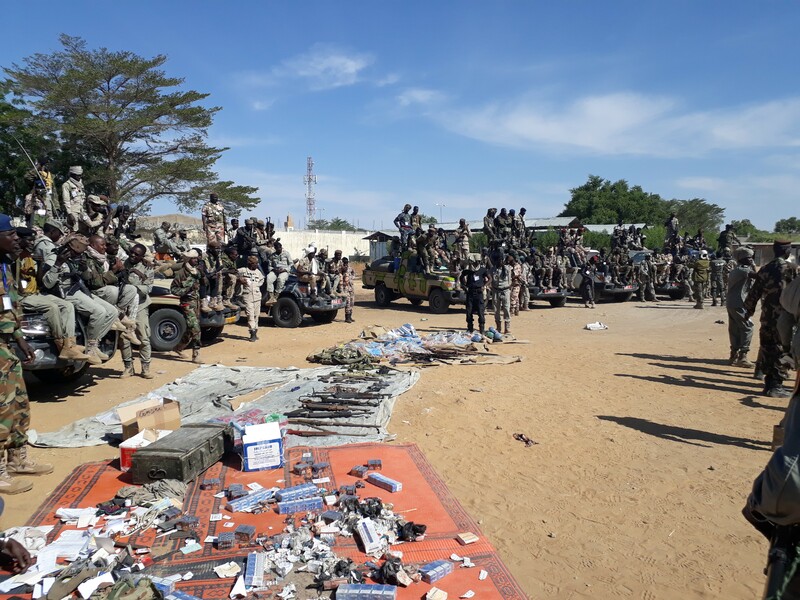 Some 320 firearms – including a rocket launcher and a machine gun – and almost 20,000 pieces of ammunition together with grenades and explosives were recovered during Operation Trigger II. A checkpoint in Zenica-Doboj, Bosnia and Herzegovina. 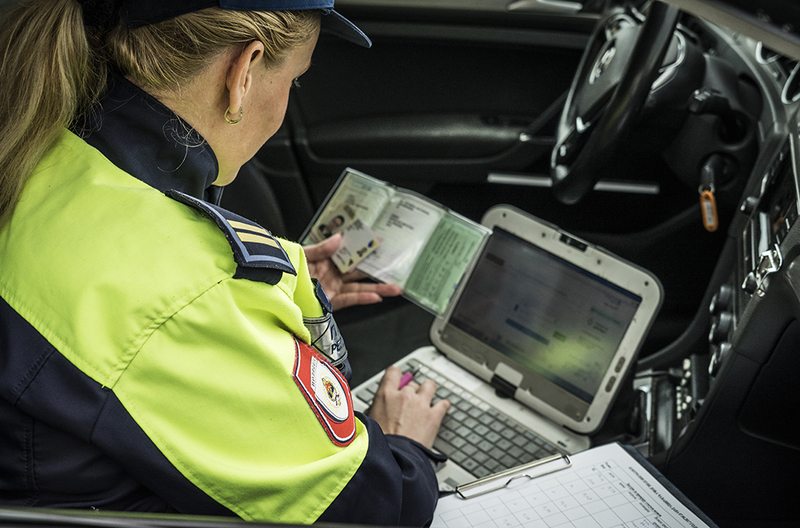 Almost 40,000 vehicles were checked during Operation Trigger II. 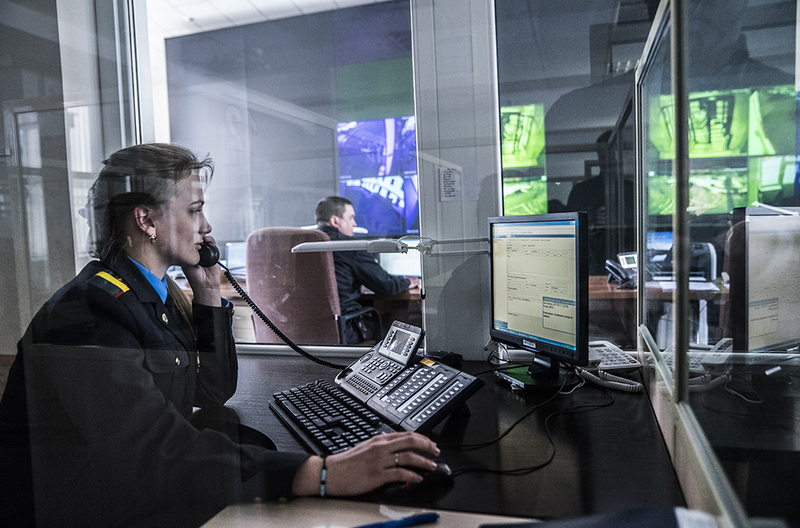 The command centre in Minsk, Belarus, which acted as a coordination hub during Operation Trigger II. 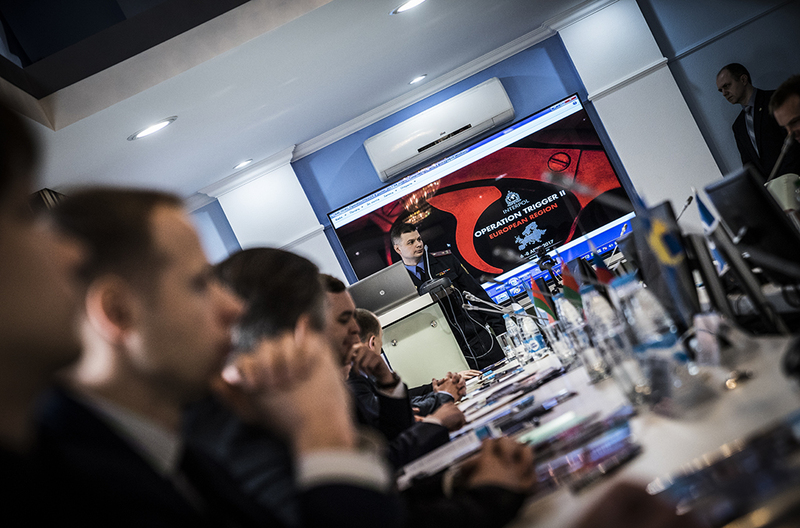 Pre-operational meetings were held in coordination hubs in Minsk (pictured), Prague and Skopje. A checkpoint in Trebinje, on the border with Montenegro. 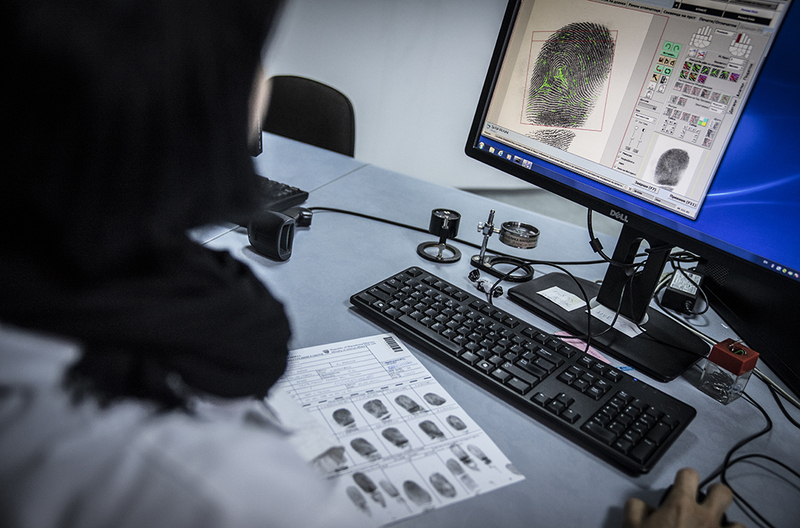 Forensic and ballistics analysis on seized firearms, in Skopje, Former Yugoslav Republic of Macedonia. 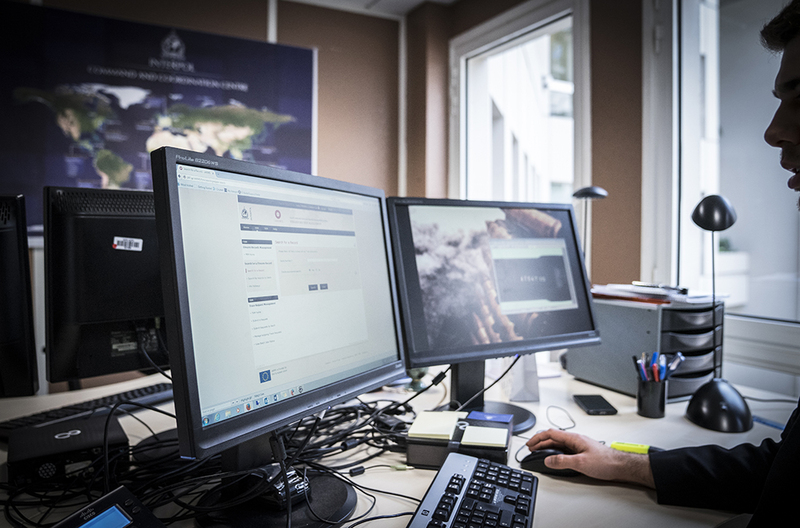 The INTERPOL Firearms Recovery Protocol seeks to exploit and coordinate intelligence obtained on every recovered firearm through laboratory examinations and interviews with all individuals associated with the firearm. Simultaneous operations targeting SALW were conducted in eight countries in Southern Africa. 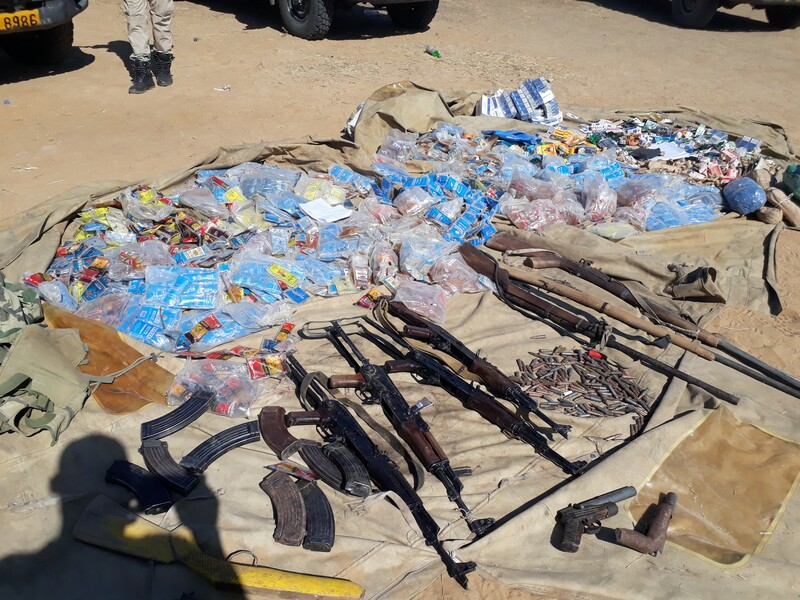 During the operation, 211 firearms and 972 rounds of ammunition were recovered.